About the Author: Born in Birmingham, England, in 1917, Laurie Baker studied architecture at the Birmingham School of Architecture from where he graduated in 1937 and became an associate member of the, RIBA. During the World War II he was an anaesthetist to a surgical team in China where he also worked on control and treatment. On his way back to England he had to wait for about three months for a boat in Bombay. There he met Gandhi and was influenced by him. He decided that he would come back to India and work here. During 1945 - 1966, apart from his general freelance architectural practice throughout his life in India, Baker was architect to leprosy institutions in India and 1ived and worked in a hill village in Uttar Pradesh. In 1966, Baker moved south and worked with the tribals of Peerumede in Kerala. In 1970, he came to Trivandrum and has since been designing and constructing buildings all over Kerala. He has served at various times as Governor of HUDCO, on the working group on Housing of the Planning Commission, and on several expert committees at the national and state level. Free Download Book Mud Architecture Books PDF ♥♥ +100 Million Download Books Mud Architecture Books PDF with unlimited download ebook at Download-Book. The future lies in mud architecture. Though this sweeping statement may sound prehistoric, but it is very relevant to modern times. Building living spaces with mud is a tradition dating as back as the start of civilization. Some excellent examples from the Great Mosque - the world’s largest mud building and UNESCO’s World Heritage site – to the oldest surviving mud specimens found in the Harappa, Pakistan, show the continuous use of mud buildings. 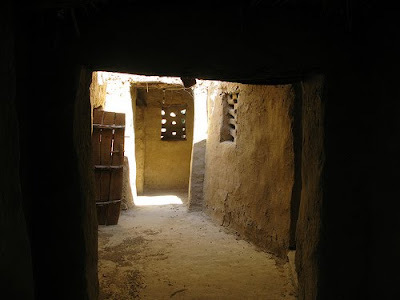 Having grown up in mud house myself (before I moved to urban center), mud buildings have a special place rooted deep in to my cultural consciousness and this personal bond encourages a more intimate relationship between me and the mud as the material transformed from formlessness to form. Hence my interest in mud architecture and how I see its future in Pakistan. Why use Mud? Mud – a mixture of earth and water - is economical, practical, functional and attractive. It is easy to work with, and it takes decoration well. Mud is especially useful in humid and hot climates like we have in Pakistan. Mud is a natural material that is found in abundance, especially where other building materials such as bricks, stone or wood are scarce due to affordability and or availability. In Pakistan, use of mud has evolved from local necessity. Which is why the use of extremely sticky mud deposited found along river banks or elsewhere in Pakistan combined with appropriate technology makes an excellent material to build functional and climate friendly buildings. Work has already started and many experts are critically analyzing the more purposeful use of mud as a building material. Dr. Gus Van Beek of the Department of Anthropology, National Museum of Natural History is working on a book in which he is examining methods of construction and varieties of designs in contemporary as well as ancient structures found at many places. Dr. Gus Van Beek’s research started when he uncovered arch and vault construction at Tel Jemmeh, Israel. Dr. Gus Van Beek is covering major types of construction in Morocco, Egypt, Yemen, Israel, Syria, Iraq, Iran, India and Pakistan. At local level, Society for the Promotion of Art and Culture (SPARC), registered in Lahore since 1994, is undertaking the task of revival of much needed mud architecture in Pakistan. SPARC planning to hold workshops at different art and architecture institutions in order to restart the traditional building with mud in rural as well as urban areas of Pakistan. These workshop will not only create awareness and initiate a thought process at gross roots level but will also train SPARC employees in mud architecture. Dr. Norbert Pintsch from Senior Expert Service (Bonn, Germany) is planning to present new techniques of mud building to adapt the construction technique mixed with appropriate technology in Pakistan. Prof Dr Norbert Pintsch is an experienced architect by profession and mud enthusiast by choice. Since completing first building project as an architect at the age of 18, Prof Dr Norbert Pintsch has been in various activities as an architect and civil engineer all his life. One of the best starting point for Prof Dr Norbert Pintsch may be a mud building that stands in Peerzada Festival Area, Green Acre, Lahore. Renowned Pakistani architect like Ghayyoor Obaid are also keen on mud architecture there. Any other example that I know of is remains of Sher Shah Suri built mud fort in historic village Sher Ghar near Okara. The mud architecture is a great resource that focuses on architecture constructed of mud brick, rammed earth, compressed earth block and other methods of earthen construction. The proliferation of concept to use mud and improved techniques in order to raise the level of living in the population is a very welcome idea and we in Pakistan need that. This can go a long way not only in the form of changing the look of population centers, rural as well as urban, but also in solving environmental problems and problems related to use of energy and other finite resources.